Canyon USA, the American division of one of the world’s most innovative bicycle companies, is now offering U.S. customers the option of having their bikes assembled, delivered and fit by velofix. This new Canyon USA Delivery Service by velofix is an additional delivery option exclusively for the United States, and will provide another choice for consumers who choose to have personal assistance from a professional mechanic. Canyon USA Delivery Service by velofix is available to all Canyon USA customers immediately for an additional charge of $95. Canyon customers who chose this Canyon USA Delivery Service option will have their bicycle shipped to their local velofix mobile bike shop. 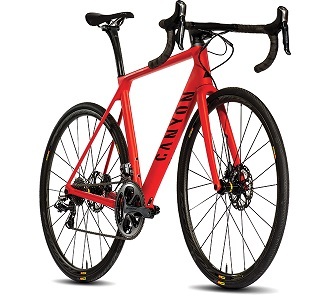 velofix will assemble the bike, arrange a delivery time, and assist in a first fitting for the Canyon customer.